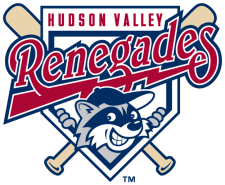 The Renegades were 3-3 on the week and are now 16-19 on the season. They are currently in last place in the division, 7 ½ games back from first. The Renegades face a tough upcoming week, with two series against first place clubs. Transactions: James Patterson added to roster (7/24/10). JR Betts-Robinson added to roster from Princeton (7/26/10). Wade Broyles added to roster from Princeton (7/26/10). The Week Ahead: 7/27/10: Day Off. 7/28/10-7/30/10: at Vermont Lake Monsters (23-14). 7/31/10-8/1/10: vs Aberdeen Iron Birds (21-17). 8/2/10: at Brooklyn Cyclones (25-13). when is Thompson's next appearence supposed to be? Not 100% sure. Hudson Valley does not release starting pitcher in advance like many of the other affiliates. Everything listed on upcoming games are TBA. Based on his last start 7/23, I would project him starting 7/29 at Vermont. But that's only a guess.